If you've read this blog for any period of time, you will be aware that I really, really like Fyberspates yarn. Fyberspates is an unusual yarn company. It was founded in 2005 by Jeni Hewlett when it was established as a traditional indie dyer studio, with Jeni doing all of the dyeing personally. Gradually Jeni decided that she could step up production and established her Scrumptious range of yarns, which is a full range of weights of yarn made of 45% silk and 55% wool. Those yarns are dyed commercially and sold wholesale to retailers as well as directly through her own website. Since the advent of Scrumptious, Jeni has subsequently added Vivacious and Gleam to her range of commercially dyed yarn. In addition to these commercial yarns, Jeni still dyes yarn and fibre in her own studio to sell on her website, direct to the customer. The Scrumptious yarns are available widely now, both in the UK and overseas. I love that Jeni's business model allows her to maintain her creative individuality in her own studio but also gives a larger market access to her colour sense and yarn bases. I've used Scrumptious yarns many times, the most recent use was for, my own design, the Refraction Shawlette, which used the 4ply/sport weight, but I've also used the lace weight for several shawls, and the aran weight for a hat. It is a beautiful yarn, with deep and clear colours and a soft, drapey handle. It is a pleasure to knit with and dream to wear the finished items. 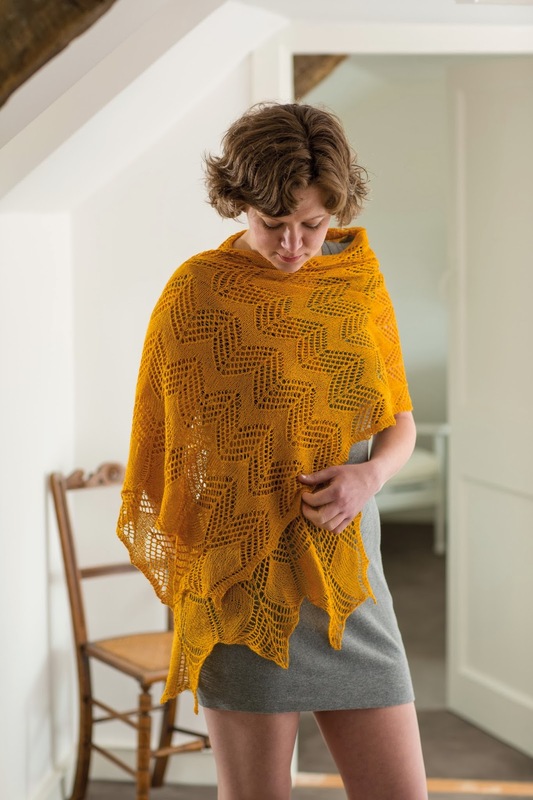 Having a new book of patterns to inspire me to knit with this yarn again, would be no hardship, so when I was asked to review the new Scrumptious Collection Volume 3 and be part of the blog tour I jumped at the chance. Other bloggers, who have been part of the tour have focused on their own designs or their role in creating the book, but I come at this book as fan of the yarn and as a knitter. I am currently in a bit of an accessories phase and because of this, those are the designs I shall talk about, especially as I plan on knitting at least two of them, if not more! My stand out favourite from this book is the Simene Stole, by Melanie Edgar. It uses a single skein of Scrumptious Lace and have already bought the yarn to knit it. As the book is designed to support Scrumptious yarns, it only gives information on the number of skeins of Scrumptious that a pattern may require, and not the exact meterage that will be needed for a project. A skein of Scrumptious Lace is 1000m, which is a generous meterage, so you might find it difficult to use a substitute yarn, without buying more than you might need. 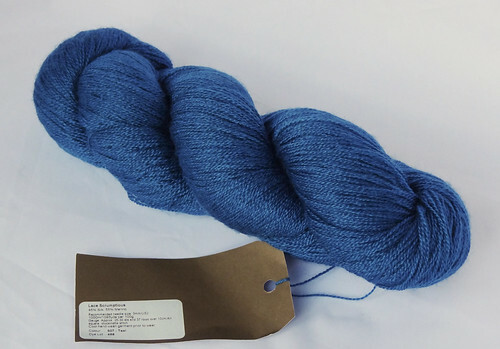 However, I didn't want to use a substitute, I wanted to treat myself to a skein of my favourite colour, Teal. I plan on casting this shawl on very shortly. It is a beautiful showcase for this yarn, with it's bold and graphic lace. The shawl is knit in two halves and grafted together and the patterns are written out fully as well as charted, which I prefer for lace, but I know lots of people prefer the written instructions. Having both options is always a big bonus and shows attention to details. The charts are really large and clear and as I have the PDF version to review, I can use knitCompanion on my iPad to keep a good track of where I am in the charts. My fingers are itching to cast this gorgeous stole on, but I am suffering in our recent bout of cold weather and need I to knit the next project first. I adore these Lerryn Mittens by Rachel Coopey. I know they would be so much fun to knit, and will feel decadent to wear on my fingers. I love cabling, especially without a cable needle, and these mittens look like a perfect candidate for using that technique. This pattern uses the DK version of the yarn, which would mean the mittens could be used for Spring and Autumn as well as the majority of the Winter in the UK. I need to cast them on immediately. However, as you know, I have a weakness for hats. I love them and have LOTS in my box of woolly wonders. I really shouldn't be knitting more hats, but the hats in this book are gorgeous! I may have to knit a hat before I knit the mittens or the stole. 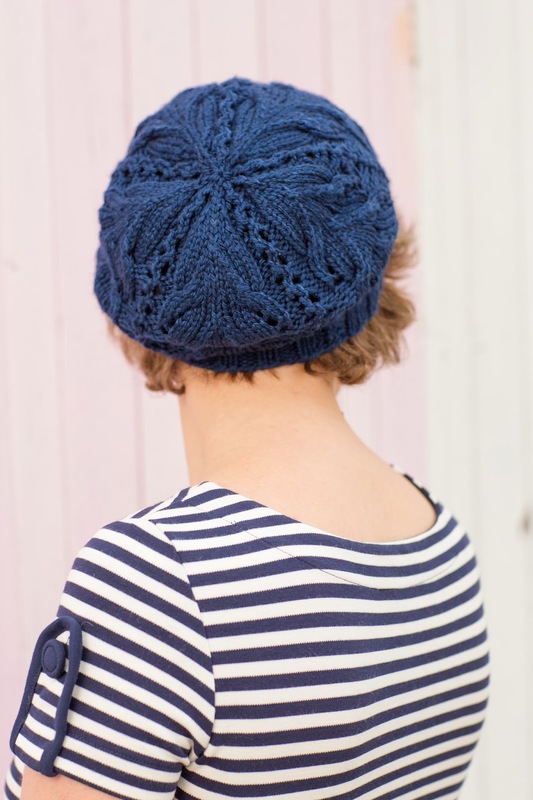 The first hat on my list of gorgeousness is Kenwyn, another pattern by Rachel Coopey. The hat is part of a set that includes a matching cowl, but it is the hat that makes my heart sing. It has gorgeous lace and cables with just the right amount of slouch to give it a hint of sass without distracting from it's elegance. The crown decreases are so pretty and clever, I know I will be knitting this hat, despite not needing one, especially as it only uses one skein of Scrumptious Aran. Any project that uses a single skein will always be a winner in my book. The other accessories I am very tempted by are the cover hat and mittens, once again by Rachel Coopey. I am becoming a real fan of her work. The Divelish Hat and Mittens are made with stranded colourwork, using the 4ply weight version of the yarn. The cuff and brim of the set are worked as a cabled rib, which run into the colourwork pattern, seamlessly. This set is a stunning masterclass in design and attention to detail, that uses one skein of each colour to make one set. 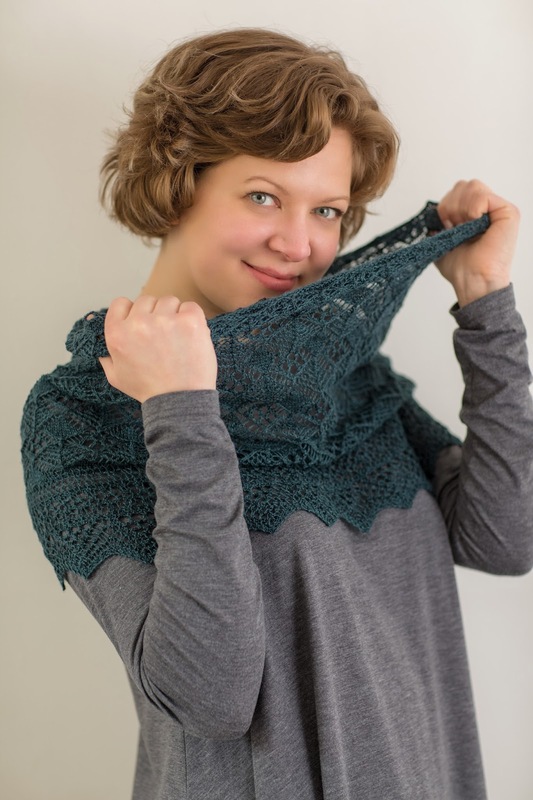 I am also very tempted by the lace cowl, by Judy Furlong, Loveny Mantle. This is a more complex lace design than the stole I am planning. It is very much thinking lace but the finished item is very pretty indeed, and I think when my mind is focussed enough it may be a wonderful challenge to take. I have focussed on these projects as I really want to knit all of them. There are some gorgeous garment designs, but I'm not sure if they would suit my body type, and my budget doesn't really stretch to knitting garments in Scrumptious yarn, not matter how gorgeous they are. My budget does stretch to these smaller projects that use one or two skeins of yarn and the accessories will feel so glamorous and indulgent I will feel as spoiled as if I were wearing a whole sweater's worth of this lovely yarn. Over all, I really like this book. There is a wide range of patterns, which are targeted at a range of knitting skills and techniques. The patterns are written out in full as well as very clearly charted, which means they are easy to follow. The photos, taken by Jesse Wild, in the book are fabulously clear and show off the knitwear brilliantly, as well as making the models look great. Clear photos of knitwear AND nice looking photos sometimes doesn't happen in knitting books, so it is lovely to see it working so well in this book. 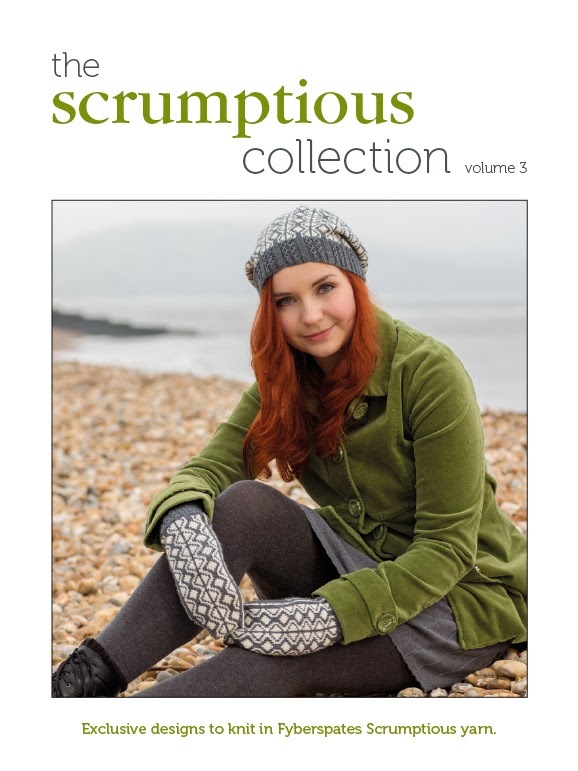 Scrumptious Collection Volume 3 is very definitely a book designed by knitters for knitters. The layout, charts, schematics and photography echo that sentiment throughout. Each pattern can be printed out without referencing anything else in the book, as the abbreviations and notes are all given within each pattern. It's a small detail that makes it easier for the knitter, but I think is a very good example of how well thought out the whole book is, down to the smallest detail. The book can be purchased in both print and digital form at a price of £12.00 or $26.00. The digital version can be purchased through Ravelry or in physical form from Fyberspates, or your local Fyberspates Retailer. This blog post is part of a tour, and though I was given a copy of the book to review, all opinions given in this post are completely honest, and my own. If you are interested in some of the other patterns, their designers, and the work of some other people involved in creating the book, you can read the other posts in the tour (there might also be other chances to win a copy of the book too). Full details of the tour can be found here.